Image of the Milky Way galaxy taken with a DSLR camera on a tracking mount. Canon 450D DSLR camera, 50 mm f/1.8 lens, 39 second exposure, ISO 1600, March 30, 2014 at Boso-boso, Antipolo, Philippines. Photo Credit: Anthony Urbano. For an archive of my Milky Way photos, click here. Image of the Milky Way galaxy taken with a DSLR camera and a tripod. Canon 450D DSLR camera, 18-55 mm lens set at 18 mm, f/3.5, 30 sec exposure, ISO 1600, March 1, 2015 at Kiltepan Peak in Sagada, Mountain Province, Philippines. Photo Credit: Anthony Urbano. For other Milky Way photos, click here. To learn how to image the Milky Way using a point-and-shoot or a DSLR camera, click here. Image of the Milky Way galaxy taken with a DSLR camera and a tripod. 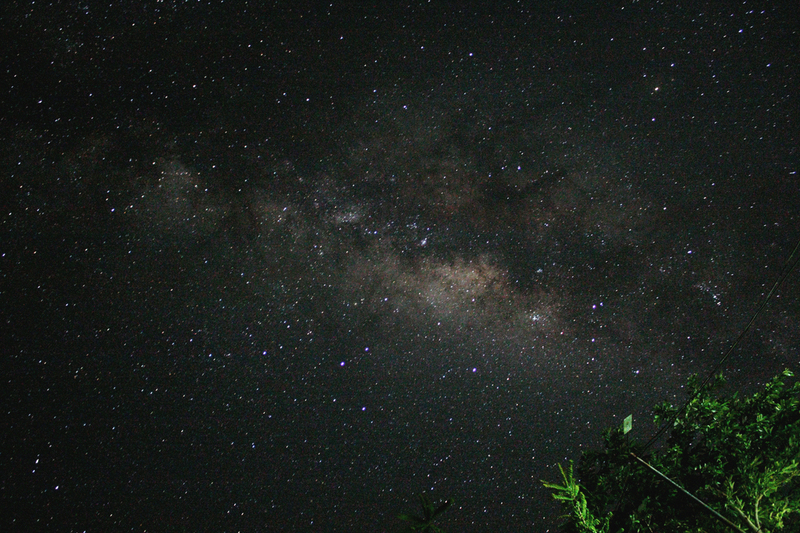 Canon 450D DSLR camera, 18-55 mm lens set at 18 mm, f/3.5, 30 sec exposure, ISO 1600, August 23, 2014, Camarines Norte, Philippines. Photo Credit: Anthony Urbano. For other Milky Way photos, click here. To learn how to image the Milky Way using a point-and-shoot or a DSLR camera, click here. Taking a photo of the Milky Way may seem beyond the capabilities of an entry-level DSLR camera, after all, it is our galaxy and not just some familiar subject like the moon or the Sun. In this article I’ll walk you through some of the most important things you need to know in order to capture a photo of the Milky Way. The Milky Way is a very *very* faint target. It is so faint that it could easily get lost in the sky glow caused by city lights or even overpowered by the seemingly faint moonlight . To capture a target as faint as the Milky Way, photos must be shot from a place that is really *really* dark. Dark, not in a sense that there are no ambient lights, but “dark” in a sense that there is very minimal light pollution. A trip to a nearby province may be enough to offer the conditions suitable for this purpose. Milky Way enthusiasts usually travel to dark-sky sites to avoid city’s light pollution and schedule imaging sessions when the moon is not visible. Read more.